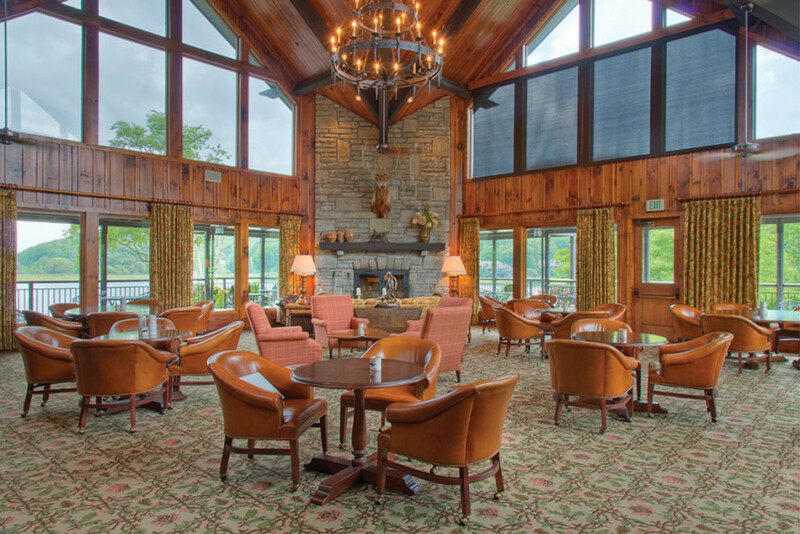 Tucked within the lush Blue Ridge Mountains, Grandfather Golf & Country Club offers an idyllic summer getaway. The private community has long been a mainstay in Linville, North Carolina, set amid the scenic high country that consistently delivers clear sunny days free of stifling heat and humidity. Summer temperatures hover comfortably in the 70s. Founded nearly a half century ago, the club is currently undergoing multimillion-dollar upgrades, which include doubling its beach area on Loch Dornie Lake, opening a new casual dining room dubbed The Scottish Grill, and redesigning parts of its championship golf course. At Grandfather, which is owned by about 450 members who have purchased homes and condos in the community, prospective members can book a condo or home for a weekend or longer to get a feel for the community. art loft. Members come together for drawing and painting classes, as well as demonstrations designed to appeal to everyone from the novice to the accomplished artist. The picturesque region also offers countless adventures for the outdoor enthusiast. One of the most popular attractions is Grandfather Mountain, the perfect place for a vigorous morning hike or a quiet nature stroll along the 12-plus miles of winding trails. Visitors will not want to miss the most breathtaking views of the mountain, seen from a walk across the Mile High Swinging Bridge, the highest suspension footbridge in the country. The area also boasts some of the best trout streams in North Carolina, making the region an angler’s dream. 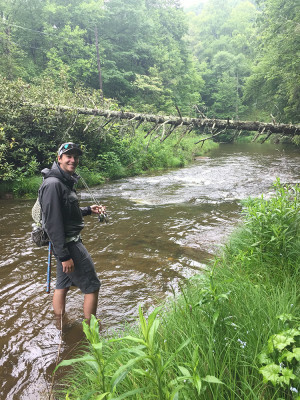 For fishing aficionados, nothing beats a catch-and-release fishing lesson with fly-fishing guide Alex Dale of Highland Outfitters. On any given bright summer day, Dale quietly makes his way through the babbling streams. If you are lucky, a rainbow trout may bite within the first few moments, adding a serendipitous touch to a memorable weekend in the great outdoors. Visit Dewoolfson, widely known for its made-to-order down comforters, pillows, and featherbeds, plus luxury bed and bath linens from around the world. Art enthusiasts will want to stop by Carlton Gallery, which has exhibited fine art from local, national, and international artists for more than three decades. Erick’s Cheese & Wine Shop is a must-stop for international cheeses, an impressive selection of wine (1,200-plus bottles), craft beers, and specialty treats.